What if the Calvinists and Arminians are both wrong (and right) about predestination? Many of us grew up with one of two viewpoints regarding predestination and free will. Those in the Calvinist corner would have been raised believing that God had chosen them either to go to heaven one day while others were created for eternal punishment. Those people who are damned never had the free will to choose life or death but were merely pawns on a giant chess board. On the other hand you have the Arminian belief that says that God created everyone with a free will and each person can willingly choose to either receive or reject Jesus. Now to be fair, both sides have their verses to quote in backing up their beliefs but in doing so, they usually end up rejecting the verses held by those on the other side of the fence. This is why I would like to recommend a third way of viewing the scriptures that relate to predestination. Let me start by saying that on a personal level, I find the Calvinist view of God in particular to be extremely disturbing in that He would create people with the intention of torturing them forever for his own glory (I'm still not really sure how that makes God look good but anyway). Typical Calvinist doctrines like predestination and penal substitution attribute to God s character things which, if they were attributed to men, would be deemed monstrous. For me no amount of scriptural gymnastics could get around verses like these ones. But despite my feelings toward Calvinism, those verses in the left hand column in the chart above are in the bible and need to be looked at honestly. So here are 2 questions that I have been pondering regarding predestination. 1 - What if Jesus himself is actually Gods elect? From the very beginning the bible promises a Savior, Gods very own Son in whom He is well pleased. (Matthew 3:16). It seems to me that the predestination vs free will debate is a product of our individualistic thinking. Perhaps it is those who choose to align with Christ that are automatically drafted into Gods promise. This view also takes care of the "once saved always saved" discussion. Eternal security is found in Christ but only for those that remain in him. 2 - What if predestination is about glorification rather than who is in and who is out? The more that I look into this topic the more I think that predestination is more about glorification than it is about who goes to heaven and who goes to hell one day. Read the beginning of Ephesians again in particular. I would love to know your thoughts on this as well. Hopefully, even if you fall within the Calvinist or the Armenian camp this adds something to the conversation. This is the first time that I will be reviewing a book on this blog but because such a large percentage of blog readers are writers themselves I thought that this would be beneficial to others as well. As you may already know I am in the process of writing my first book myself and the info in Jeremy's book has really helped me go into this process with a plan. I now realize how incredibly naive I was about what goes into publishing a book. Initially I thought that I would write my book, make a cover, convert it to PDF and then upload it onto my blog, yeah right... This book lays out the steps to every aspect of publishing step by step as though they were recipes in a cook book. From writing with Styles and using the Style guide to incorporating images and page layouts, it is all there and will end up saving you hours of time in the editing phase. 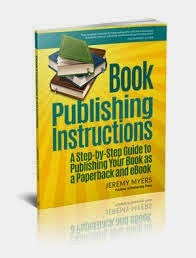 It contains detailed steps for formatting your paperback and eBook and where and how to get published through various publishers and yes, it is pretty easy to get your book published on Amazon and other similar sites. Also covered is how to obtain an ISBN number and the benefits and downsides associated with each option available to you. How to market your book and on and on it goes. If you want people to take your writing seriously or to even discover what you wrote, you need to be more than just a good author and this book will equip you for that. There are two other things that are worth mentioning though. I read the eBook which was great but because of the nature of the content, I would recommend spending a few extra rands/dollars on (you can do that here) something that you can shove book marks into and mark with a highlighter. There is a benefit to the eBook though in that if you are interested in theological books (which account for all of his other works), by subscribing to Jeremy's newsletter on his blog, he sends out a limited time offer to purchase all of his eBooks at a massively discounted price. It works out to seven books for $9.99 which is cheaper than buying just this book by itself through Amazon which is a pretty good deal. On another note I hope to start a series this week on God and how He is viewed in the Old Testament and in the book of Revelations, specifically with regards to the violent portrayals in some of those texts. It is quite a hot topic at the moment and I have some differing views to much of what I have been reading so hopefully we can get some discussion going around that soon. Here in South Africa the Oscar trial is a little bit like the weather in that you cannot go more than a couple of hours without someone bringing it up in a conversation. For those who are unaware, Oscar Pistorius is an Olympic athlete on trial for the alleged murder of his girlfriend Reeva Steenkamp. The whole thing reminds me of the O.J. Simpson case which took place several years ago. I would just like to mention two things about this whole ordeal here. Firstly, this is not Idols. It's not supposed to be entertainment and unless you are a judge,lawyer or witness, which is unlikely, your opinion is rather irrelevant. Granted it is in the public interest, but let us not forget that a real person has died, another person's life is ruined regardless of what verdict is reached and several others are suffering the loss of a loved one or are now dealing with strained relationships, anger, confusion and so on. Secondly, I have been quite shocked at the reactions of some Christians. This whole "just wait until God gets his hands on him" business is extremely disturbing. If I know anything about God I would think that He must be hurting to see His creation in such turmoil. I believe that He is the prodigal Father who relentlessly pursues all of us. Longing for that which is outside of His will and on the path of destruction to be restored to Him, regardless of how far we may have strayed. 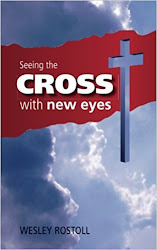 I see in Jesus, the disciples, and even the OT prophets, men calling people to repentance that they might avoid destruction, not a blood lust to see others get what is coming to them. Surely our ministry to others is to see them reconciled to Christ rather than to tie the noose around their neck that they may meet him sooner rather than later? Let us pray for a clearer revelation of who God is that we might learn to be more gracious and merciful toward one another and that we would be capable of praying for our enemies and blessing those who persecute us. The kind of large church that I would attend. Before I get into this post let me just share a quick little update on what is going around here. Firstly, I am about to embark on a book writing mission, I am extremely excited about it but it is still very early days. At this stage I do not know if it will end up as a 40 page booklet or a 300 page door stop. Right now I pretty much have a topic to write about and the goal of having it out before April 2015. I am still going to try to put something new out here on the blog every week or so as well as going through the older posts to edit and possibly revise some of them as well. If any of the old ones are altered significantly I will post an update about it either on Twitter or Facebook. For those of you are familiar with this blog you will be aware of the fact that I have been outside of the institutional church for going on five years now. There were 2 main reasons for me leaving, one was that I felt God telling me to get out and two was that I noticed that sitting in a chair 2-3 times a week taking notes was making me smarter but it was also making me lazier. The last traditional church that I attended claimed that the house churches were the heart of the place, yet despite the Senior Pastors good intentions only about 30-35% of those gathered every Sunday went to one of the home groups during week nights. I have a feeling that other institutional churches that are going beyond "home cells" in emphasizing kingdom communities probably have a similar small percentage of people involved in home groups when compared to the Sunday morning event. Now I don't want to slam what happens every Sunday on stages across the planet. I am glad that some people have the opportunity to share in that sort of a context and God has clearly gifted some in the area of preaching and teaching (classroom style) and there is a time and place for it (Acts 5:12-15). I may not attend services anymore but I still enjoy and appreciate listening to sermons while I am driving sometimes. All I want to do here is make one simple suggestion and maybe it is not for everybody, but for me it sounds great. What if we allocated the most convenient time slot of the week to the home gatherings and moved the singing and teaching combined groups service to midweek or maybe even Friday nights? Would that not show how serious we were about the church being a community of believers in fellowship with one another? Would that not allow the parents of young children to make the home meetings who normally can't go out at night because they have kids to bath and put to sleep? Would it not help the parents of older kids whose children need to do homework and get a decent nights sleep? Would it not help those who maybe are to scared to drive alone at night? Granted, while the home fellowships would grow the combined meetings would be significantly smaller. Overall numbers would probably decline as well as many would almost certainly rather find a pew to occupy in another Church somewhere else come Sunday morning. I have never smoked, but I imagine giving up cigarettes is probably easier than giving up some of the church traditions that we hold so close. Would this be a risk many churches would be willing to take? I don't think so, but I would hope that some would. It's my belief that smaller gatherings where people are able to speak, teach, encourage, listen, love and pray together are far more beneficial than larger gatherings, which themselves can also be edifying and God glorifying, so long as they do not become a substitute for the former. Perhaps I am over simplifying or over looking some things and like I said, it is probably not for everyone. But for me, that is the kind of church (in a building) I could see myself attending.